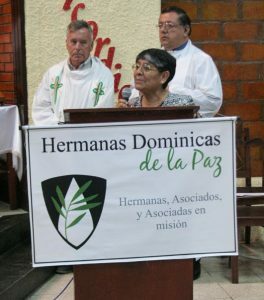 For fifty years, a total of twenty-four Dominican Sisters of Peace have served in Chimbote, Peru. On April 29, 2016, a celebration was held for the Golden Jubilee of the Sisters’ presence in Chimbote. In attendance were Sr. Mary Ann Connolly, Sr. Germaine Conroy, Sr. Catherine Malya Chen and Sr. Therese Leckert.